Fredi has been involved with soccer all his life. At age 14 he was chosen amongst 22 Albanian players to attend the prestigious ''High School of Soccer Mastery'' in Tirana, Albania. From this point on he continued studies at the University of Sports in Tirana with a concentration in soccer. While attending the university, and after graduation he played in the Albanian Super League, the most prestigious professional league in Albania to this day. In the role of a coach he has more than 20 years of experience, coaching different age groups, peaking with 7 years of coaching Skenderbeu in the Albanian Super League. Due to a great deal of knowledge, Fredi has a lot of success, and currently two of his former players, are active internationally. Many others play in competitive leagues such as those in Germany, Italy, Croatia, Greece and Ukraine. 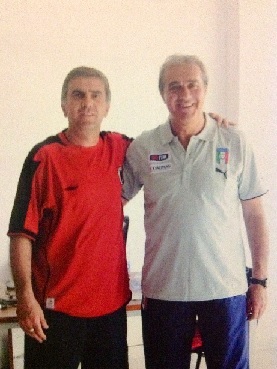 He has a lot of passion for Italian soccer due to his strong connections as a player and as a coach with some of the best Italian coaches and lecturers. He holds a "Pro" License from the Albanian Federation and a UEFA "A" license. 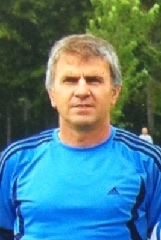 More than 20 years experience as the head coach of highly competitive soccer training and coaching. A successful record of managing athletic programs, recruiting, and developing talent at the professional, high school, junior varsity, and varsity levels. Self-motivated, able to set effective priorities to achieve immediate and long term goals and meet deadlines. Developed interpersonal skills, having dealt with diversity of soccer players, staff team and club members. Adapts easily to new concepts and responsibilities. Fluent in English, Greek and Albanian.